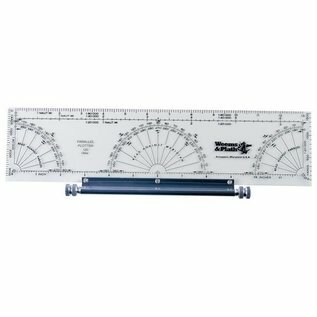 The Weems Parallel Plotter is our most popular Weems plotter! The Weems plotter contains distance scales at 1:20,000, 1:40,000 and 1:80,000 to fit N.O.S. Coast and Harbor Charts, as well as an inch scale. 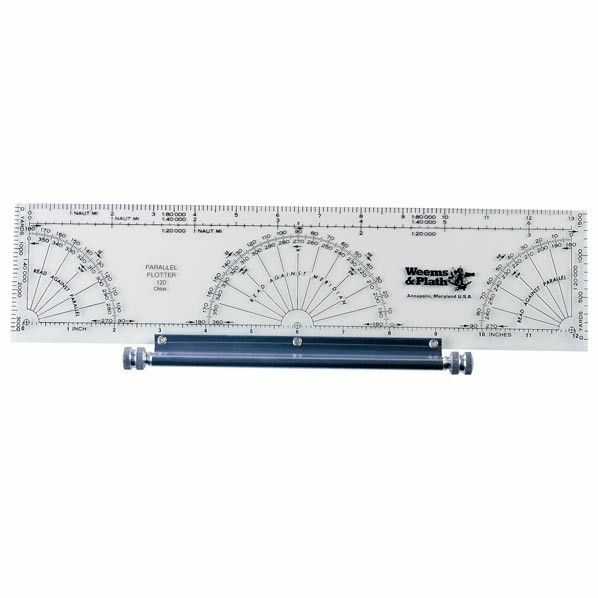 IThe Weems plotter also includes semi-circular protractor for measuring courses and bearings against meridian on chart, and two quarter circle protractors for measuring courses and bearings against parallel of latitude. Instructions for the Weems plotter are included. The Weems plotter is durably constructed with a Lifetime Warranty.